When I fell in love with women’s flat track derby, I was already a fan. Derby answered a nagging question… or rather, derby helped me answer all those people at UC Santa Barbara who nagged me with the question, “So, what is a man gonna do with a BA in Women’s Studies?” This man is gonna listen to Joan Jett, drink a beer, eat a vegetarian tamale, and watch women skate around in a circle and hit each other. 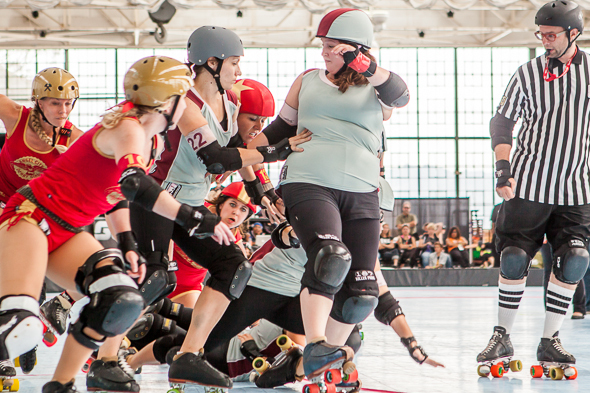 I am like an official women’s derby photographer now. I am more than a little excited. I’m running and I won’t touch ground. Eva Menace, the PR person for The B.ay A.rea D.erby Girls, invited me into Saturday’s season opener on March 2, 2013 at the Craneway Pavilion in Richmond, California. 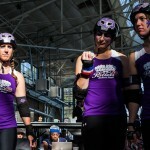 Now I can take photos of REAL LIVE DERBY GIRLS like Lulu Lockjaw. Lulu actually let me take her picture. Wow. What’s a boy to do? 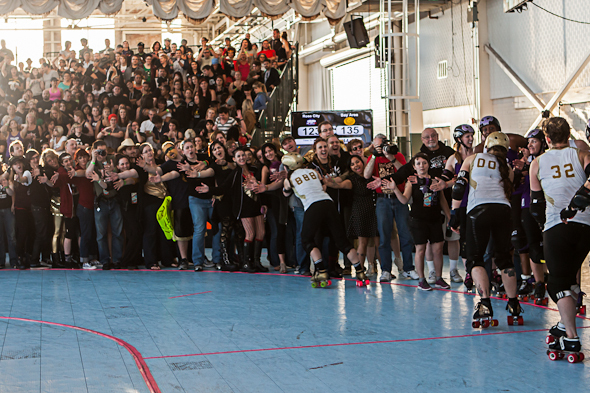 The final two bouts of the WFTDA West Region Playoffs were postponed by an hour, because the sunlight interfered with the skaters’ ability to skate. Sporting events have been delayed and canceled for many weather related incidents, but I have never photographed one postponed by sunlight. When it happened Sunday, everyone was happy (and everybody was laughing), except for me. 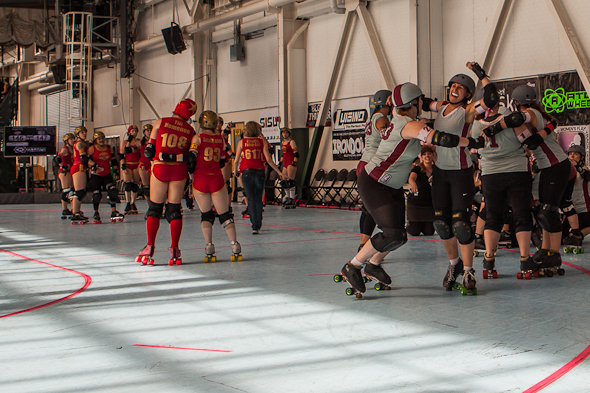 I love natural light and the players at the Craneway Pavillion in Richmond, California appeared regal. 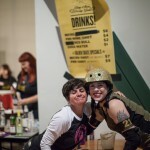 When the Women’s Flat Track Derby Association (WFTDA) postponed the final until 7:00, many photographers began using off camera strobes and on camera flashes repeatedly. Since I have photo-sensitivity, I am easily disturbed by strobe lights. 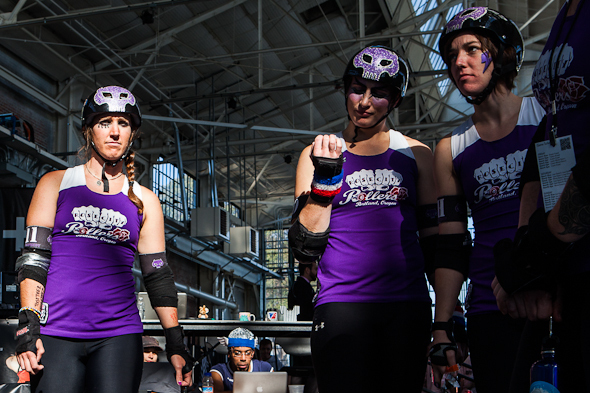 The strobes bounced off Craneway’s tall windows, white walls and reflective derby surface adding to the strobe effect. Fortunately, I captured magical light before games. I have yet to process several hundred game images from the weekend.